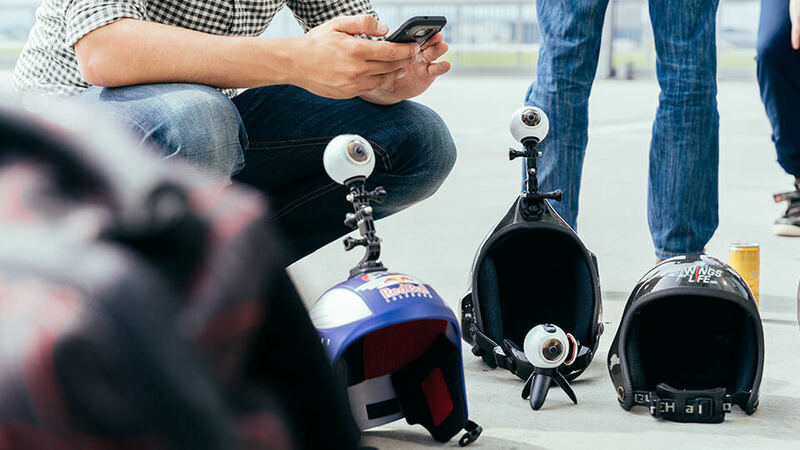 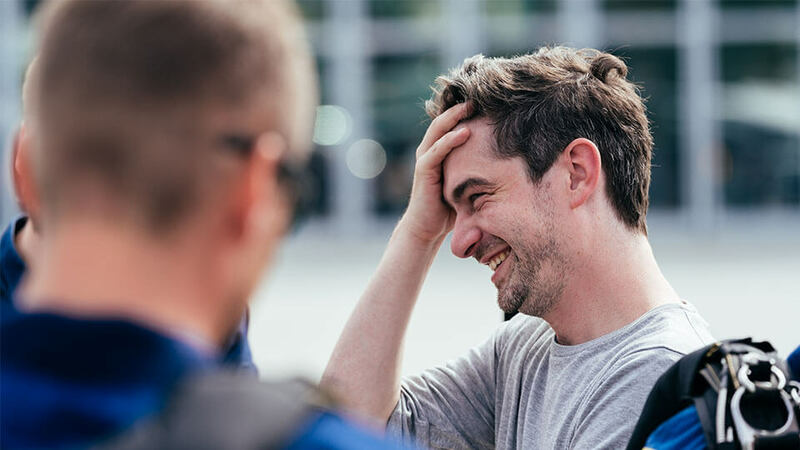 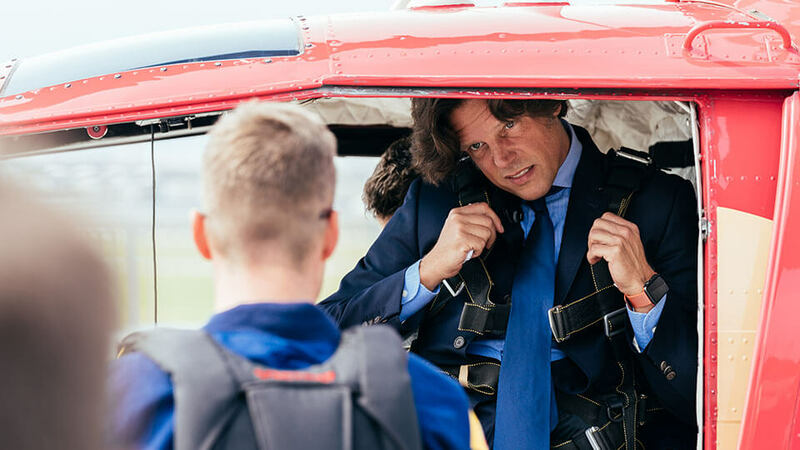 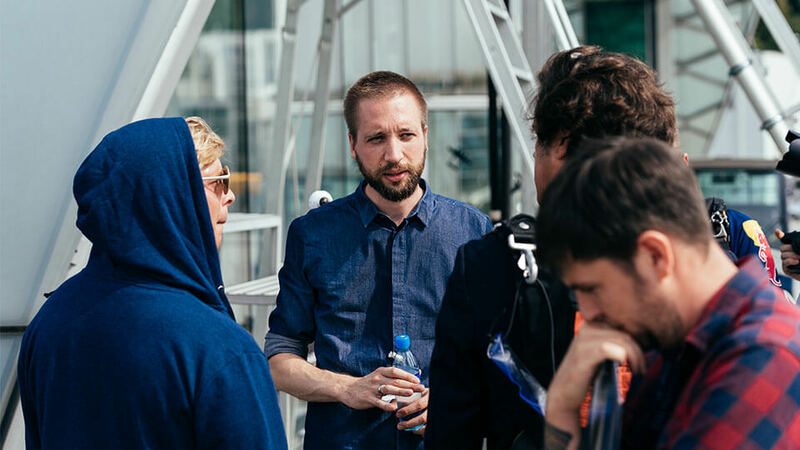 In collaboration with Serviceplan, Red Bull Media House and VR director Justus Becker, Mindconsole created a 360-degree video experience intended to be viewed by 350 attendees of the Innovation Day in Munich - at the same time! 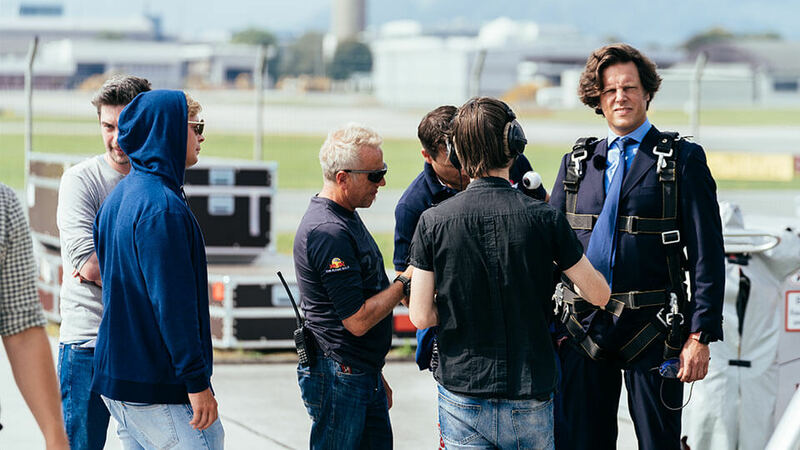 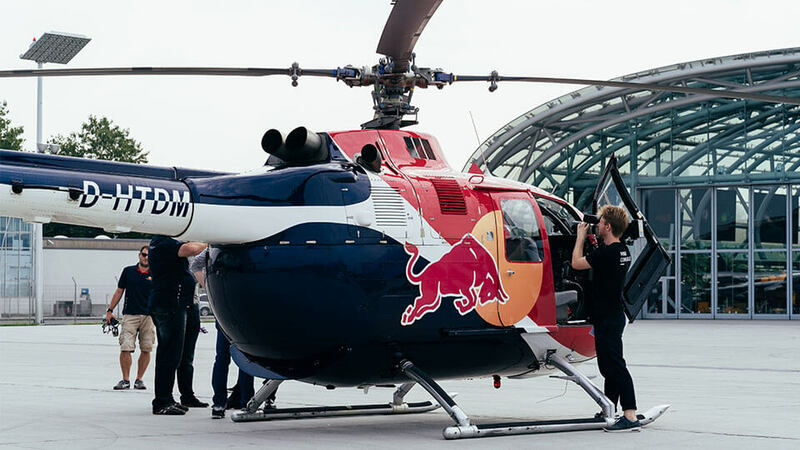 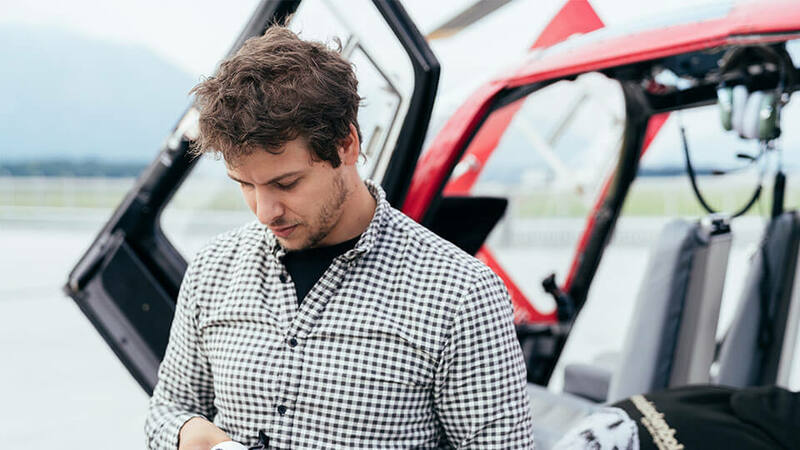 The production required an immense amount of organization due to the tight shooting schedule - all but one of the scenes were shot during a single shooting day at the Red Bull Hangar-7 located in Salzburg. 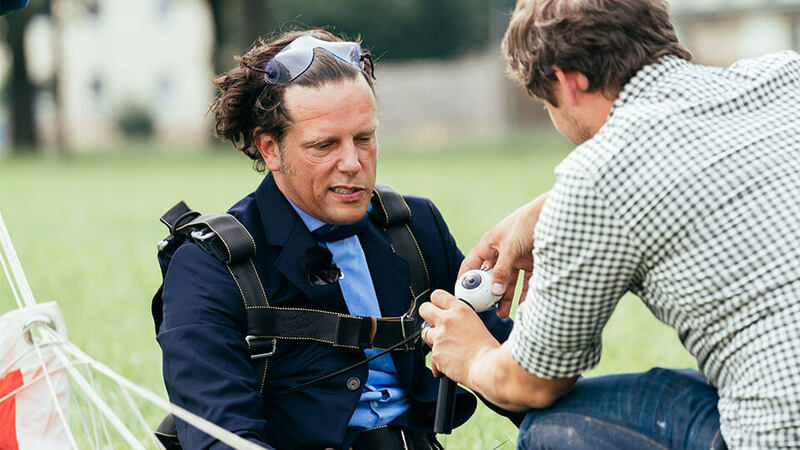 Production required shooting with between 1 and 5 360-degree cameras at any given time. 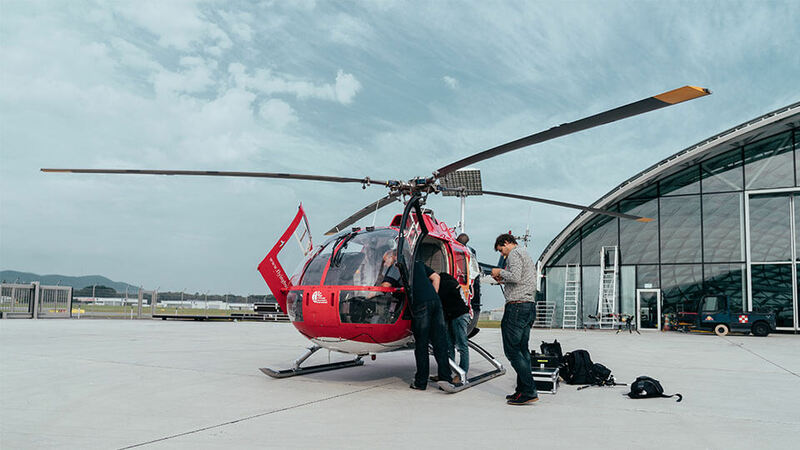 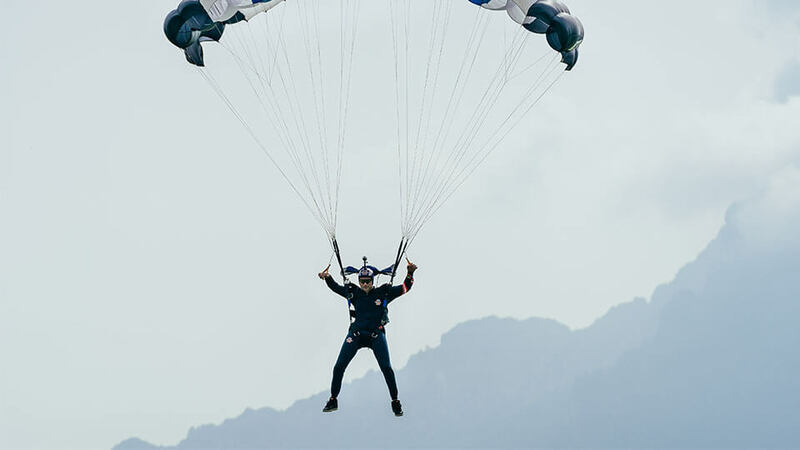 Simple scenes, such as the opening coffee scene and the golf cart scene only required a single camera - but the skydiving scene required 5 - mounted inside the helicopter, on the skydivers' helmets and handheld by the talent.